Trained at the California College of Arts and Crafts, Shaw's early designs are eye-catching compositions of bright colors and deep dimensional lettering. 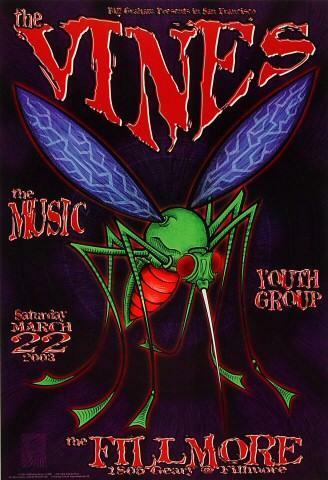 Designing for some of the top talent of the 90's, including The Neville Brothers, Joe Satriani, Foo Fighters, Pearl Jam, the Allman Brothers and Kiss, his first full-fledged set design for Graham was New Orleans by the Bay '93. Shaw considers himself first and foremost a painter and has had many solo shows to display his more serious side.